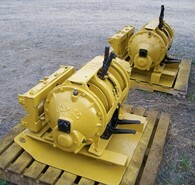 Savona Equipment is a mine slushers and tugger supplier worldwide. 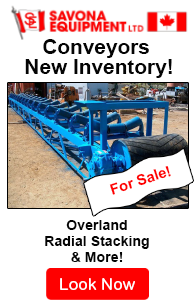 From small to large slushers we can supply what you need. 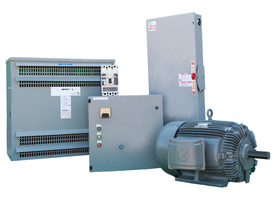 All our refurbished slusher hoists will be supplied ready for service. 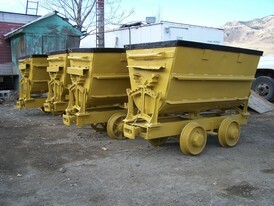 Although not an actual mining method, the use of slushers for removing ore from drawpoints and pillar stopes was common in the past. 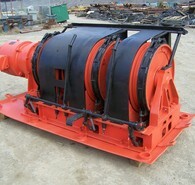 A slusher is essentially a double drum hoist. 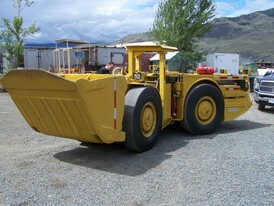 A single drum is considered a single drum tugger. 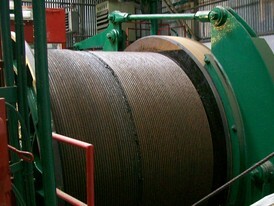 One cable of the slusher is attached to the front of the scraper so that it can be pulled towards the slusher and an orepass. The other cable goes around a block securely fastened in the far end of the slusher drift or pillar and is attached to the back of the scraper. Pulling this cable brings the bucket toward the end of the drift or pillar for another load. 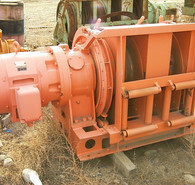 Slushers may have either electric or compressed air motors of 5 to 125 hp. 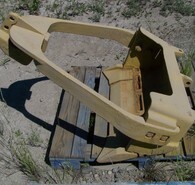 We supply slushers and tuggers of various sizes, please contact us with your requirements.